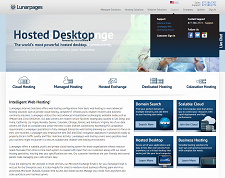 LunarPages is a web hosting company that works on providing a variety of options to their customers. Their customer base features a variety of basic clients straight through very advanced clients with websites that require a great deal of data sharing. Storage systems, email or scalable packages are available with this web hosting provider— in order to ensure that clients get to choose from different data hosting options at an affordable pricing. The best web hosting sites promises to be flexible when offering web solutions for clients, and LunarPages does just that. LunarPages is one of the most popular web hosting companies today that offers customized web hosting packages. The company’s mission statement focuses on reducing the risks associated with online hosting. This includes prompt after-sales service and providing a professional atmosphere that supports high-end websites—with graphics and videos. LunarPages provides a tour of their data center, media and blog posts to offer new customers a feel for how the company functions and what you can expect should you sign up with them. An affiliate program is available to all users to help them earn referral money. LunarPages is hosted out of California: the company operates at standard Pacific Standard Time business hours. However, they continue to provide information and assistance for clients at all times of the day, as they have clients from around the world. LunarPages provides a wide variety of options that users can take advantage of when signing up for a web hosting contract. Lunarpages offers packages that come with basic and advanced web hosting options. These include IT infrastructure, cloud hosting, disaster recovery and business continuity solutions. VMware and Citrix XenSErver are available to all clients. Data centers are located in Chicago, IL, Denver, CO, Las Vegas, NV, Ashburn, VA, Irvine, CA and San Diego, CA. All of these facilities are PCI compliant and uses DoZ and DDoS mitigation. Scalable private and public hosting options are available. Clients may upgrade or downgrade their contract as necessary, throughout their contract. Email services through Microsoft Exchange are available with the service provider, including virus and spam protection. Users are welcome to sign in to the Lunar Pages Cpanel from any location. All users of the service provider enjoy standard services– including a domain search for multiple domains, and hosted desktop applications that load data in less than one second. Much of the pricing options offered by LunarPages are scalable. Basic, dedicated hosting starts at $4.95 a month with the option to add on different stand-alone features. All basic hosting packages offered by the provider include unlimited storage, unlimited bandwidth, unlimited email accounts, Softaculous Web Scripts, and a free domain name. Payment processing is available online for customers from United States. Search engine optimization and search engine marketing tools, and ecommerce options are also offered by the provider. Managed hosting is available for $39.95 a month. These packages include upgrading scripts, open source software and ensuring the site is functioning and compatible with all scripts. 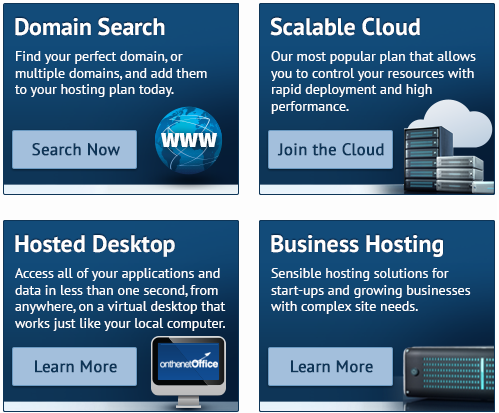 This is ideal for those that are not familiar with their web hosting requirements. Basic hosting packages offer a great way for the users to invest in a cheap web hosting; a variety of options are also available through add on to upgrade accounts. These include anonymous domain registration, premium hosted exchange, email, dedicated IP, premium restore service, standard SSL certificate each year, Java/JSP enabled accounts, shell access, and cPanel access. Those that invest in a standard SSL certificate are offered a $250,000 warranty, 256 bit encryption, free site seals and trust logos, industry standard digital signatures at 2048 bits, online automated validation and 99.9 percent browser coverage. Lunarpages.com is rated very highly by experts, but there are certain downsides to their services that users may need to be aware of before signing up. The web hosts at LunarPages has recently been updated, which–as reported by some users—caused certain issues with their email settings. This is expected to be fixed soon. There are complaints, largely from users in other time zones that it can take a bit of time to get a response from Lunar pages customer service, especially when contacting them via email. Older accounts reported that there were several outages last year that caused users difficulties with keeping webpages live, but most of these issues were addressed with the 2013 overhaul. A lot of the complaints for LunarPages focus on the fact that users felt Lunar Pages customer service was not responsive; it seemed to have taken users a great deal of time to get help in regards to outages. However, LunarPages has made a distinct effort to address these complaints with the server upgrade and revamped customer service system. Recent reviews on how these changes affected the system are not yet available. There are a variety of server hosting assistant groups available with the provider. Phone numbers for customer support are available on the main contact page of the website. There are different phone numbers specified for customers connecting from the US/Canada, the United Kingdom or other locations. Phone lines are available from 7 a.m. to 7 p.m. during the weekdays and 7 a.m. to 3:30 p.m. on Saturday and Sunday. Contact information is also available for the corporate office in Anaheim, CA so customers can contact the company directly with any concerns, should they need to escalate an issue. New customers can receive sales information from an integrated questionnaire form on the contact page. Separate contact information is available on the website of the service provider so users can contact different departments with ease—like the affiliates, billing, sales and support lines. Fax, phone numbers and email modes are available for all contacts. The provider has also made available a separate contact page for DMCA complaints. The LunarPages website also offers a live chat option, making sure users can get answers for their quick queries as soon as possible. Should the users feel the need of a detailed answer; the live chat team will assist him/her with contact information of people they can get in touch with such issues. In conclusion, web hosting company reviews are generally favorable to the LunarPages system. Companies that have stayed signed up with the provider for many years report that their control panel is very intuitive and easy to use—even for those that are not particularly familiar with web hosting control panel. The site has not reported frequent outages, and continues to provide a service that customers can count on.